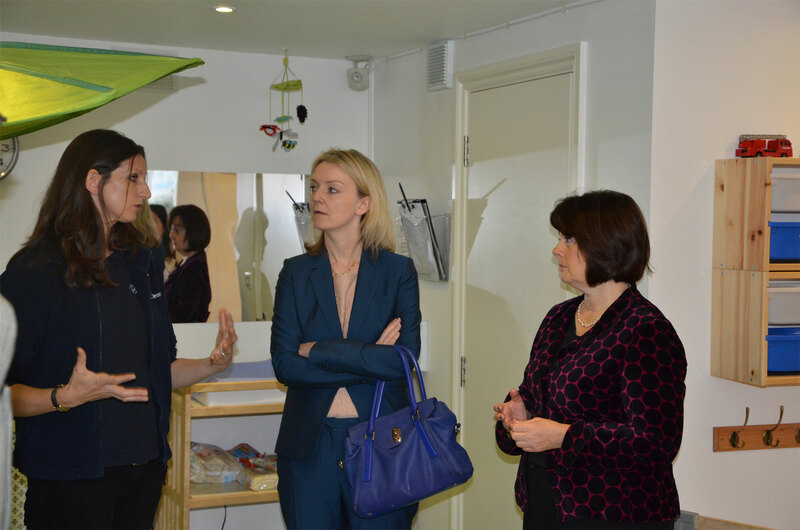 On Wednesday 25th September we were lucky enough to have a visit from Elizabeth Truss, the Under-Secretary of State for Education and our local MP, Jane Ellison. We had been in contact with them about our wonderful flexible childcare solution and how we thought that the red tape surrounding childcare was leading to higher costs for parents. We had some ideas of our own on how to change this, and wanted to share them with Elizabeth and get some input at the Local and National Government level. We have been surprised with the number of mums that use our service for freelance work, part-time work and studying. The work place is increasingly flexible and so many people don’t work the traditional 9-5 office job anymore. As such, they are keen to find affordable childcare that can work flexibly. We have been approached by a number of people interested in franchsing our business and we are keen to grow our business in order to offer parents like ourselves, flexible childcare all across London and then hopefully across the country. However, this won’t be feasible until Ofsted and the Government understand that we can’t be regulated in the same way as a full day nursery. We explained to Elizabeth that we have many regular children who come in 2-3 times a week, but that we also have children who many only come in twice a month or less. The record keeping and administration that is required by Ofsted for both sets of children is the same which doesn’t make any sense. It was great to meet Elizabeth and being a busy working mum herself, she understands the need for a flexible childcare solution like The Babydrop. Holding her current ministerial position, she also understands very well the business constraints surrounding childcare in this country. She is trying to make some much needed changes within the childcare industry with regards to early years ratios and bureacracy, but needs the support of mothers and industry professionals to get the changes through Parliament. She had a good look around our little setting. 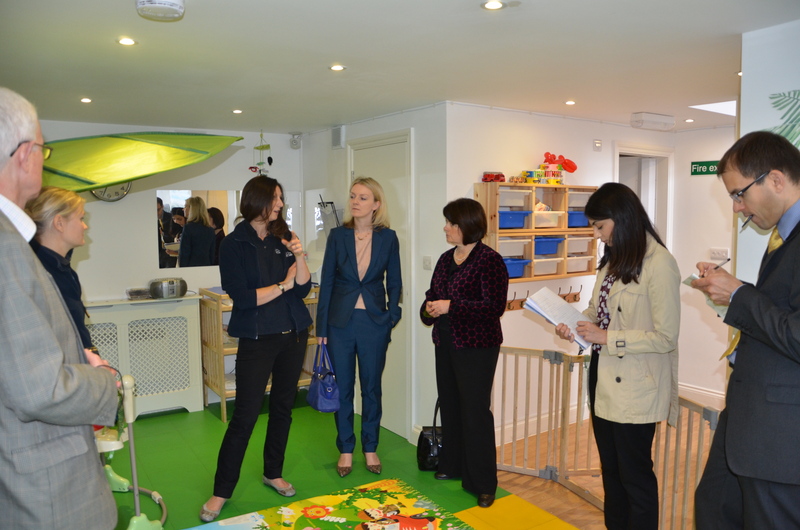 All the children were very well behaved and showed off their craft skills to both MP’s. In the coming months we might be looking for mums that are happy to give testimonals on how having the service of a flexible childcare solution like ours has changed your work and life balance. We are in an open dialogue with Elizabeth and her team, so if anyone has anything they would like us to pass on, please do get in touch. Here at the Babydrop we have loved hearing about all the exciting holidays that our families have been taking over the summer period. Holidays are never the same once you have children; each trip involves military planning and often requires booking months in advance. Gone are the days of a last-minute, bargain getaway! Given the wealth of information that we have gathered, we thought that it would only be fair to share a couple of the positive experiences that we have heard about from our parents. Please note, feedback was focused on the under-5 age group! We received a glowing report about Hotel Migjorn in Mallorca (http://www.hotel-migjorn.com/). 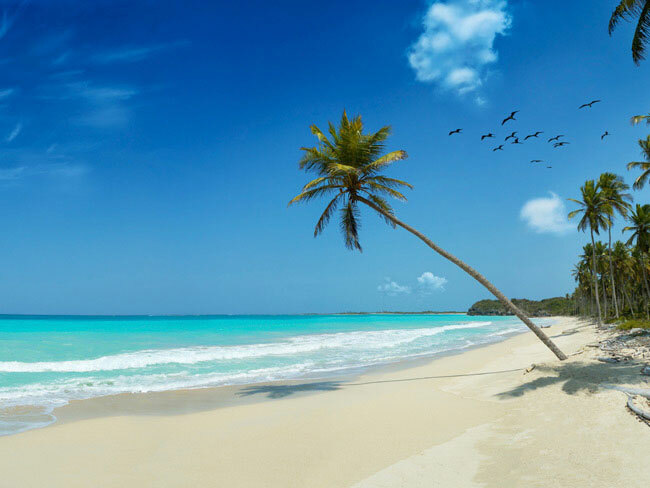 The hotel is located in a less touristy, quieter part of the island, but within a short driving distance of lovely sandy beaches, pretty towns and villages and good restaurants. The rooms are spacious and the living area incorporates a small kitchen with fridge and microwave; great for feeding fussy toddlers and babies. A huge plus is that loads of baby and toddler equipment is available and there is even a play area by the pool, as well as a bar area so that you can enjoy a drink whilst the little ones play. Perfect! The restaurant serves food all day so you can either eat early with the kids or have your meal served later in the evening, on your terrace, once they have gone to bed. One of our regular clients has recommended the Forte Village in Sardinia (http://www.fortevillageresort.com). Apart from the fact that the pool boys are extremely attractive (! ), the hotel has a lovely children’s crèche where the little ones are looked after by wonderful, Italian nannies. There is even a kids’ restaurant where the emphasis is on fun (parents and grandparents are banned!). It is all set on a children’s scale and serves lovely, child-friendly dishes. Ellen and Charlotte opted for European villa holidays this year. There are plenty of benefits, especially with very young children, including the children having their own bedrooms, grandparents being able to stay and being able to relax on the terraces or pool whilst the little ones sleep. The only real downside is still having to cook and clear up (friends down the road did the right thing and hired a chef). If you love Greece, and fancy a trip to Corfu, then Villa Sfakoi is close to Kassiopi and comes highly recommended by Ellen who returned this summer for the 4th year in a row (http://www.villa-sfakoi.co.uk). The villa is wonderfully equipped for babies and young children. There is a cot, a travel cot, potties, monitors, changing mats, boxes full of toys …. the list goes on! A massive benefit is that the pool is completely gated and set to the side of the villa and its terraces, meaning that once the gates are secured, the little ones can’t wander into the pool area alone. The lovely cleaner speaks excellent English and is available for babysitting in the evenings at an extra charge. For villa rental in Europe and elsewhere, CV Travel (www.cvtravel.com.uk) also comes highly recommended. They will also organise childcare, car hire and a chef if required. Ocado orders in June included a free copy of Family Traveller magazine. For those who haven’t seen it, it is a new publication featuring articles from writers such as Tom Parker Bowles and Francesca Syz. Having read the first edition, we were hooked and subsequently subscribed. It covers all age ranges and different budgets/ types of holidays – definitely worth a look for ideas and inspiration whatever the age of your little ones.